Humanoid – A LOVE SUPREME: The Players. Dancing Monkey Laboratories is pleased to share with you the artists participating and collaborating on their new work Humanoid – A LOVE SUPREME. This new work is being developed at Theatre Junction’s TJLab #4 and will have a public outcome (PWYC) of the work-in-progress on December 1st at 8pm. Hailey McLeod is a dancer, actor, creator and teacher who explores many ventures in the arts realm. She pursued dance training in contemporary and jazz styles while earning her Bachelor of Arts in Dance from the University of Calgary in 2014. While attending university Hailey performed in Dance Montage, Mainstage and Dance@Night (2010-14). She has also performed professionally in Alberta with La Caravan Dance Theatre (2013-14), DSW’s Alberta Dance Festival (2015) and continues to work for small dinner theatre company, Aspen Crossing. She has presented her own choreographic works in Yellowknife, Calgary, Edmonton and Helsinki (Finland). Hailey also holds an M.Sc. in Dance Science and teaches Anatomy for Dancers at the University of Calgary. Connor Williams is an emerging actor based in Calgary. In the past he has done some plays and also some clowning. He is happiest when there are children in the audience, whatever their age. 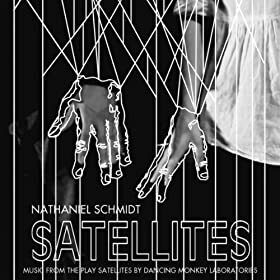 Connor is both afraid of and excited by experimental theatre, and would like to thank Dancing Monkey Laboratories for giving him an opportunity to be frightened and excited. Chantal Wall is a Calgary dance artist who has cultivated a practice that melds diverse perspectives from contemporary physical theatre, jazz, film and contact improvisation. After receiving her degree in contemporary dance from the University of Calgary, Chantal furthered her studies in jazz dance through the Professional Training Program at Decidedly Jazz Danceworks. Chantal continues to choreograph and perform for festivals including: The Annual Alberta Dance Festival, Fluid Festival, and Nextfest. Most recent adventures brought Chantal to study contemporary performance in Montreal with Danse á la Carte, and Vienna for the international festival ImPulsTanz. In her return to Calgary, Chantal is looking forward to engaging with the community and supporting contemporary performance and creation. Sylvie Moquin is a dance artist and choreographer currently based in Calgary. She received her BFA in Performance Dance from Ryerson University in Toronto and moved to Calgary to attend the Professional Training Program with Decidedly Jazz Danceworks. In Toronto, she worked extensively with Rock Bottom Movement Dance Company and has also worked as a company member with Corps Bara Dance Theatre. She has performed in shows such as Fresh Blood, Dance: made in Canada Festival, Dance Montage, CrossCurrents, Footprints, Ignite! Festival, Absence, the 34th Annual Alberta Dance Festival, and the Variety Pack Cabaret. Sylvie was part of the Lab Emerging Artist Program (LEAP) with Dancers’ Studio West where she took part in the Dance Action Lab 2015: Mythbehavin’, and performed in works by Helen Husak, Mark Ikeda, and Deanne Walsh. Her most recent choreographic explorations include presenting work at Dance Montage, CrossCurrents 2015, NextFest Festival in Edmonton, Footprints, the Annual Alberta Dance Festival 2015, and the Dance Series at Ignite! Festival 2016. In September, she presented her newest work Zōdiakos on twelve dancers at the Annual Alberta Dance Festival. Sylvie recently spent time studying contemporary dance in Vienna at its international dance festival – Impulstanz. She is eager to continue furthering herself as an artist, performer, and choreographer in the Calgary arts community. of Calgary in ‘14 with a BA in English with a concentration in Creative Writing, and a minor in Drama. With a main lilt toward playwriting/directing, Constantine started his love affair with theatre as an actor, and, every now and then, as a way of spicing up that relationship, has been known to undertake the odd acting role. Recent writing/directing credits include ‘Quarantine’ [Peripheral Theatre Co., Dec. ‘15], ‘Opaque’, ‘All Roads Diverge’, and a staged reading of ‘Post’ [Search Tower Co., Common Ground Festival ‘14, ‘15 & ‘16], and ‘Stag/Stagette’ [Calgary Regional One Act Festival, ‘15], as well as directing Harold Pinter’s ‘Betrayal’ [Search Tower Co., ‘16]. Recent acting credits include a staged reading of ‘After Us A Savage God’ [Dancing Monkey Laboratory, ‘16], and ‘Bengal Tiger at the Baghdad Zoo’ [Search Tower Co., ‘16]. Constantine most recently undertook the role of assistant director on the University of Calgary’s Main Stage production of ‘Six Characters in Search of an Author’, by Luigi Pirandello, and is currently working on several unfinished original scripts, as well as being in the process of applying to undertake an MFA in Directing in the fall of ‘17. Alongside these artist will be Musicians Mark Limacher, Chris Dadge and Nate Waters as well as Filmmaker Kevin Dong. And thanks to Orin McCusker. *Dancing Monkey would also like to thank everyone who donated to our funding campaign to make this experience possible.